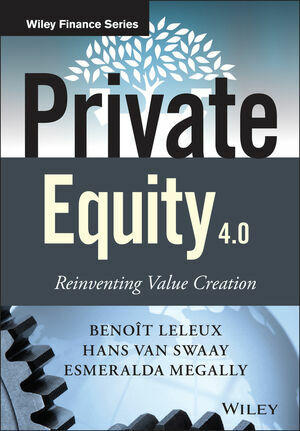 Private Equity 4.0 provides an insider perspective on the private equity industry, and analyzes the fundamental evolution of the private equity asset class over the past 30 years, from alternative to mainstream. The book provides insightful interviews of key industry figures, and case studies of some of the success stories in the industry. It also answers key questions related to strategy, fund manager selection, incentive mechanisms, performance comparison, red flags in prospectuses, and more. Private Equity 4.0 offers guidance for the many stakeholders that could benefit from a more complete understanding of this special area of finance. Written by a team of authors that combine academic and industry expertise to produce a well-rounded perspective, this book details the inner workings of private equity and gives readers the background they need to feel confident about committing to this asset class. Coverage includes a historical perspective on the business models of the three major waves of private equity leading to today's 4.0 model, a detailed analysis of the industry today, as well as reflections on the future of private equity and prospective futures. It also provides readers with the analytical and financial tools to analyze a fund's performance, with clear explanations of the mechanisms, organizations, and individuals that make the system work. The authors demystify private equity by providing a balanced, but critical, review of its contributions and shortcomings and moving beyond the simplistic journalistic descriptions. Its ecosystem is complex and not recognizing that complexity leads to inappropriate judgments. Because of its assumed opacity and some historical deviant (and generally transient) practices, it has often been accused of evil intents, making it an ideal scapegoat in times of economic crisis, prodding leading politicians and regulators to intervene and demand changes in practices. Unfortunately, such actors were often responding to public calls for action rather than a thorough understanding of the factors at play in this complex interdependent system, doing often more harm than good in the process and depriving economies of one of their most dynamic and creative forces. Self-regulation has clearly shown its limits, but righteous political interventions even more so. Private equity investment can be a valuable addition to many portfolios, but investors need a clear understanding of the forces at work before committing to this asset class. With detailed explanations and expert insights, Private Equity 4.0 is a comprehensive guide to the industry ways and means that enables the reader to capture its richness and sustainability. BENOÎT LELEUX is the Stephan Schmidheiny Professor of Entrepreneurship and Finance at IMD in Lausanne (Switzerland), where he was director of the MBA program and director of Research and Development. HANS VAN SWAAY has a long track record in private equity as Partner of Lyrique, Head of Private Equity at Pictet & Cie, Managing Director of UBS Capital, Managing Director of Merifin and partner of Lowe Finance. ESMERALDA MEGALLY is a former manager with Boston-based venture capital firm Commons Capital. She is currently the co-founder and CEO of Xsensio, an EPFL Nanolab technology spinoff.